Once Upon A Feast - Every Kitchen Tells Its Stories: Next Month's Sugar High Friday - Ginger it Up! 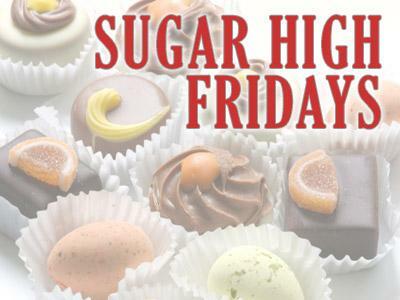 Next Month's Sugar High Friday - Ginger it Up! One of my favorite recurring events is Sugar High Friday, created by Jennifer, the Domestic Goddess. April's Sugar High Friday hosted by Chandra at Lick Your Spoon had everybody drunk before they were even halfway through the list of awesome, boozy delectables. It's hard to believe that such a quirky, bland looking root could pack such a punch and be so versatile. I love it! It's one of my all time favorite ingredients. I use it in marinades, soups, salads, desserts and everywhere else. So I thought I'd use this opportunity to get some fresh ideas from all of you. Don't panic you have a month to decide on what you plan to make. 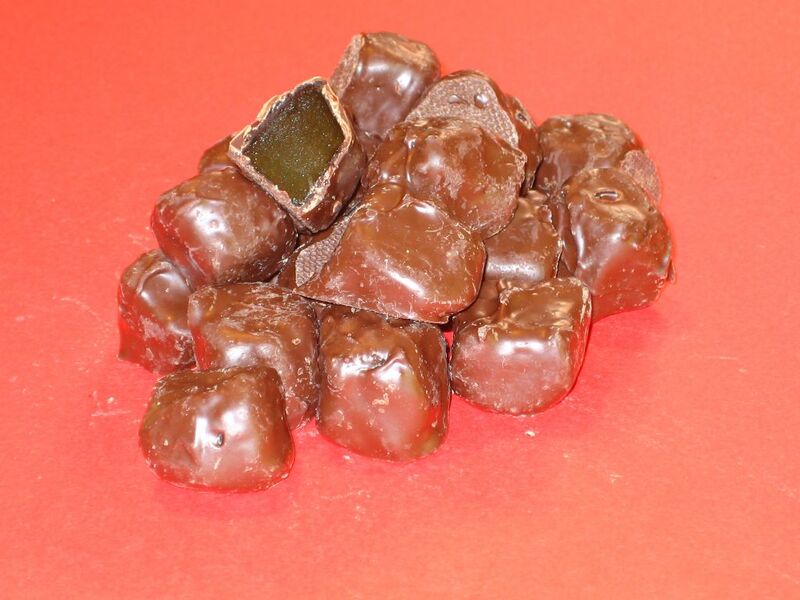 Laura Secord sells my favorite chocolate candy - candied ginger coated in dark chocolate. 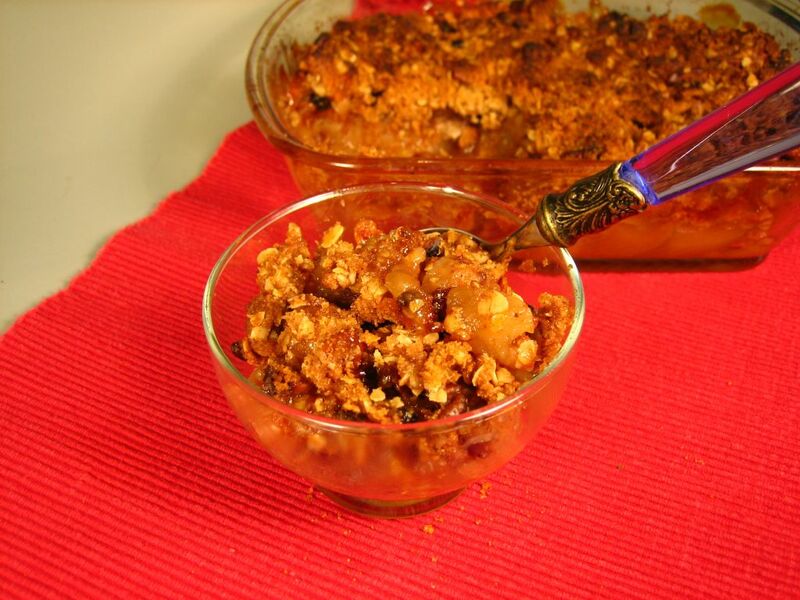 The Ginger Apple crisp is a special treat in the Fall when the apples are particularly crisp and tart. 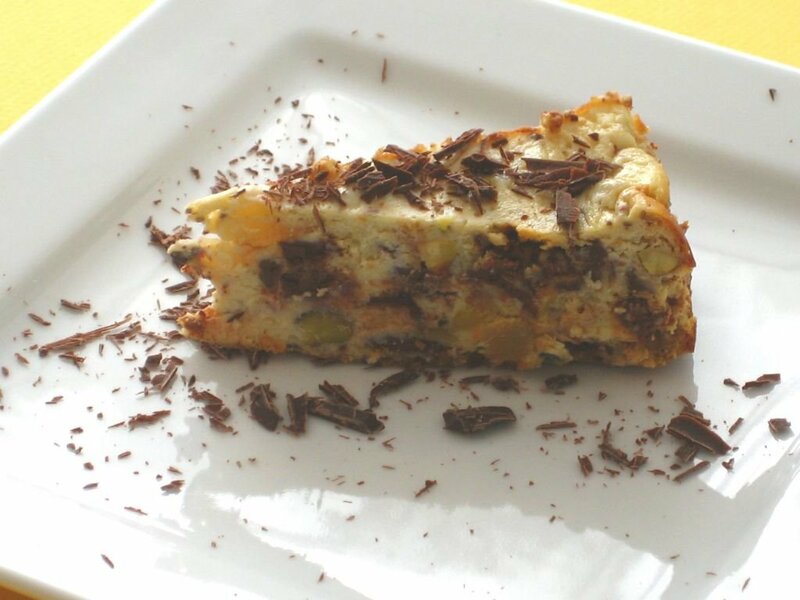 This cassata cheesecake is even South Beach Diet friendly. The date: Email the link to your entries no later than noon on Sunday, May 28th and I'll have them posted within a day. If you don't have a blog of your own but would like to share your recipes, I'll post them here for you. Just click on the contact me link on the side bar or leave me a detailed comment. Crush 1" ginger piece & boil in 1 cup of water. Add 1/3 cup milk, boil again. All the boiling makes sure the ginger gets completely abosorbed in the tea you finally drink. Charu, I do drink ginger tea, but without the milk. I love it with some lemon juice and when I'm suffering from a cold - a little honey. Nerissa, ginger is the best so I look forward to your entry. Barbie - maybe this event will convert you. Yay Ruth! I love ginger! Can't wait to join. 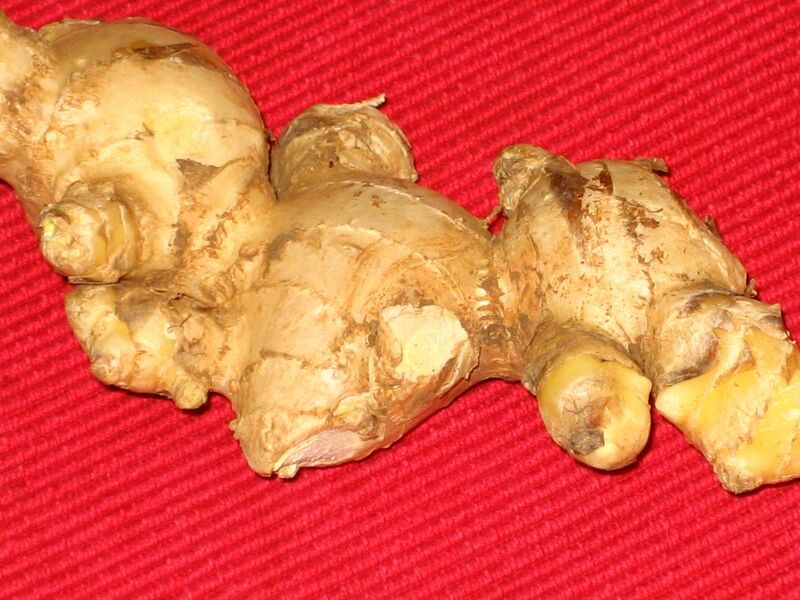 Mmm, I love ginger! Thinking of wonderful ginger desserts is the easy part. Thinking of an exciting ginger dessert I've never made before, though, that's the challenge! Ooh I cook with ginger ALL the time. what to share? thanks for hosting. Cath, glad you're excited - me too! Danielle, I know what you mean. 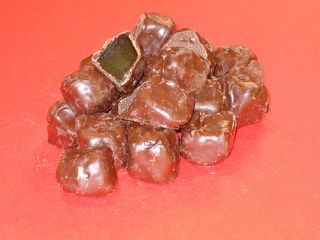 I use ginger in many things - biscotti, apple crisps, cookies,...the challenge will be to do something completely different. Good thing we have some time. Gabriella, I can't wait to see what you come up with. Perfect - it's just starting to get cold here in Australia. A warming spicy dessert is just the ticket! Great choice! To all you ginger lovers out there you MUST try some White Stilton with Mango and Candied Ginger. It's sooooooo good. Here's my blog entry on the subject. wow...what a unique ingredient on which to focus...so many possiblities! I hope I can come up with something in time! ooh I think I have decided which of my desserts I want to make. but you will just have to wait...I will have to do it early bc my twin club's newsletter is due next week and I can't play during tht time. I am definitely excited to see what you all come up with. Don't forget to email me the links once they're ready. And thanks for playing with me. Okay I did it this Friday because I will be too busy next Friday. It was so fun! Thanks a million for hostessing all of us. Sugar High Friday - Ginger!!! This is Ulrike at Küchenlatein. My contribution for this SHF: Lemon Ginger Snack Cake. Thank you for hosting this SHF. Difficult to pick just one! So I combined two recipes and came up with one yummy dessert. The blog title is "2 for 1 Ginger Desserts." I just emailed the link to you, but just in case, my entry is a Lemongrass Saffron Soda and Ginger Ice Cream Float. Hi Ruth. I've emailed my entry, but wasn't sure if I should post it here as well. Thanks for hosting it this month!